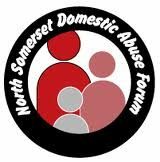 There are a number of organisations supporting people who are suffering domestic abuse. North Somerset Council has produced a comprehensive list. There is also a freephone helpline - DAFFS (Domestic Abuse FreeFone Service).